Seymour Duncan's Antiquity P90 Dog Ear uses two specially calibrated alnico 2 bar magnets, and a custom coil wind to deliver the sweet, vintage correct growl of a late 50s ES-330 neck pickup. It is also wound RWRP to be hum-cancelling with a matching bridge position model. Chords are full and round sounding, and single notes have a sweet, bouncy quality. If you remove their hand aged dog ear cover, you'll find the same hand fabricated bobbin, plain enamel mag wire, and flatback tape that was made in Kalamazoo during the early days. 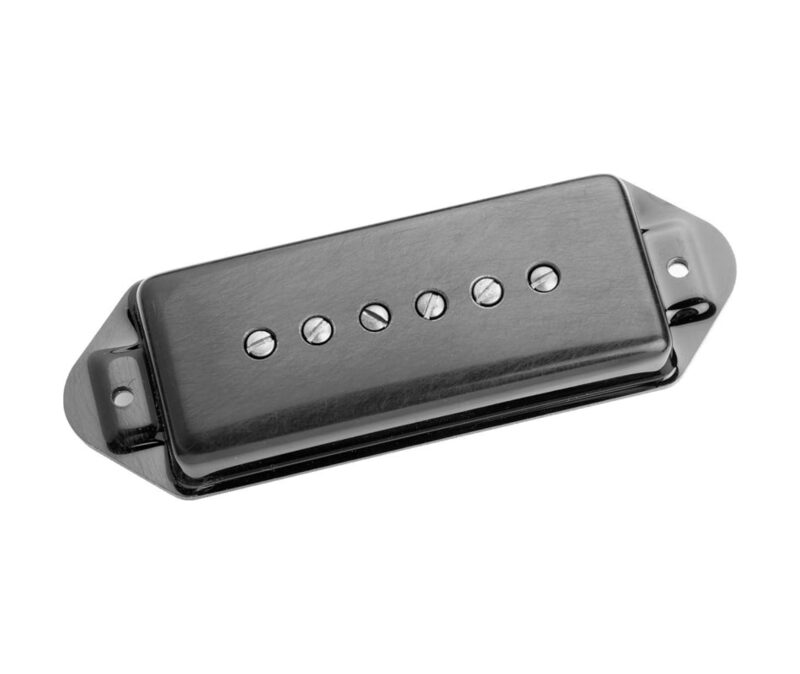 This pickup is a drop-in replacement for any standard Gibson P90 Dog Ear sized route, and comes with an aged black cover.